Office painting can be one of the more complex projects. There is generally more furniture, office equipment, and other sensitive paraphernalia to be covered and protected than in most any other types of buildings. Additionally, offices are busy places, with many people engaged in activities that make profits for businesses or complete tasks for governmental agencies. It takes a special kind of painting contractor to complete office painting projects in a timely, well-coordinated, and budget-conscious manner with a minimal disruption to business or government. 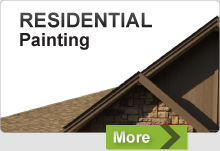 Many building owners, property managers, and general contractors in the Lower Mainland and Fraser Valley area agree that Equity Painters, our Chilliwack painting company, possesses all of these qualities. As a professional Langley painting company we can provide you with all types of office painting services like office re-painting, office paint retouching, and office interior painting to name just a few. 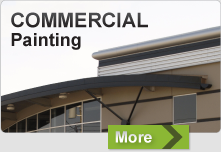 Our professional office painting team is bonded, licensed, and insured. They carry liability insurance and worker’s compensation coverage. Equity Painters will make sure your belongings are protected and your business is safe as we complete your office painting project. We do not cut corners. You’ll have confidence when the job is started and complete satisfaction when it’s done. We will go above and beyond to please you so we can add your name to our long list of satisfied office painting customers in the Lower Mainland and Fraser Valley area. For more information and to receive a quote on our Chilliwack office painting services, please contact Equity Painters at 604-819-2824.